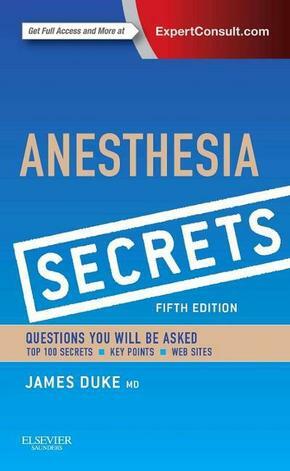 Get quick answers to the most important clinical questions with Duke's Anesthesia Secrets, 5th Edition! Authors James Duke, MD and Brian M. Keech, MD present this easy-to-read, bestselling resource that uses the popular and trusted Secrets Series® Q&A format. It provides rapid access to the practical, "in-the-trenches" know-how you need to succeed - both in practice and on board and recertification exams.